First Impression: She must have still been married to Dave Navarro when she did this video, because her manicure spells out “Dave.” I think that’s cute. Second Impression: This DVD will teach me a Sassy Librarian routine. This should be easy! Typecasting! 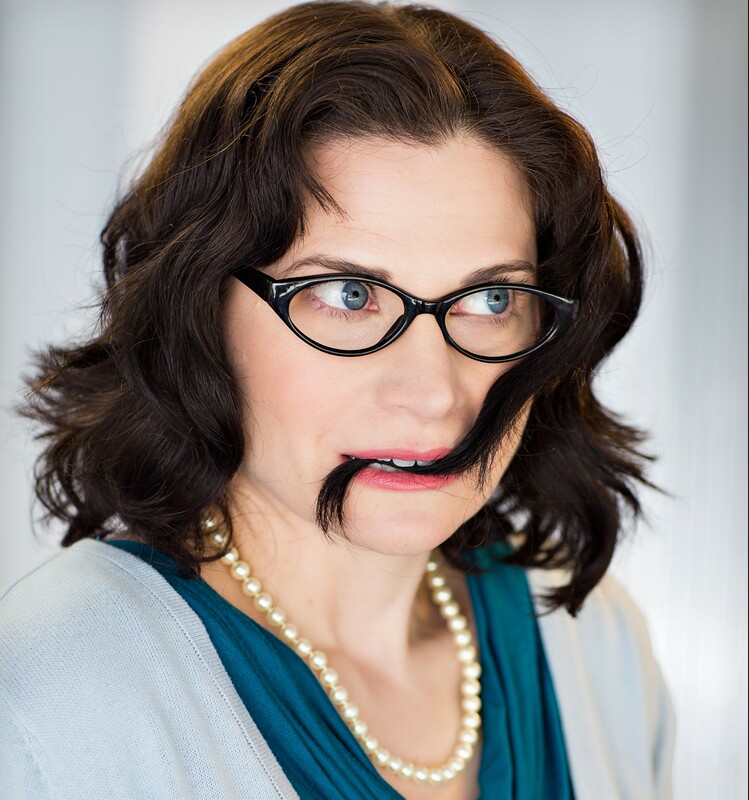 In fact, my commercial agent once asked me to get a headshot with a Sassy Librarian look. I have not booked any work with this photo. The two routines in this video are packed with useful information, such as, if your Sassy Librarian glasses you coyly remove are prescription, don’t toss them! Instead, place them carefully in a drawer so that the cat doesn’t chew on the earpieces, then stumble fuzzily through the rest of the routine. And, as you drag your leg seductively across your man’s lap, don’t spear him in the junk with your stiletto heel. I also learned why librarians fasten their bun with a pencil. It’s so they can pull that pencil out, throw it across the room, apologize for nearly hitting someone in the eye, and then release the cascading tendrils of their long sensuous waves. This entry was posted in Reviews and tagged 45 minutes, cardio, Celebrity Host, challenging, countdown clock, dance, fun, trendy. Bookmark the permalink.